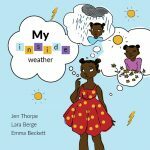 Sometimes our feelings are hard to talk about, but everyone knows how to talk about the weather. 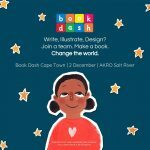 Created at Book Dash Cape Town on 2 December 2017 by Jen Thorpe (writer), Lara Berge (illustrator) and Emma Beckett (designer). Edited by Janita Holzhausen. On the 2nd of December 2017, 50+ creatives came together to address the issue of poor access to culturally relevant books for young children in Africa. Twelve teams of three each work collaboratively to create a brand new storybook in just 12 hours.